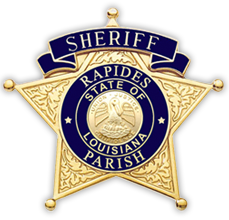 The Sheriff's Sale is held every Wednesday morning at 10:00 a.m. in the Police Jury Meeting Room on the second floor of the Rapides Parish Courthouse located at 701 Murray St., Alexandria, LA. This is a public auction and bidding is open to everyone. If you buy a piece of property at the sale, you must pay the Sheriff’s office in full by 2:00 p.m. on the day of the sale; payments must be made with cash, cashier’s check, certified check or bank money order. Anyone interested in bidding must submit an irrevocable bank letter of credit to the Civil Division prior to the sale. THE SHERIFF'S OFFICE ISSUES A SHERIFF'S DEED FOR THE PROPERTY PURCHASED; WE DO NOT GUARANTEE A CLEAR TITLE TO THE PROPERTY PURCHASED. The information on this website is provided as a public service. We make every effort to provide correct information; however, the Sheriff's Office is not responsible should any errors or omissions occur. The opening bids provided are subject to change and sales may be cancelled. Advertisements for the sales run on Friday in the Classified Section of The Town Talk, published in Alexandria, LA. The advertisement contains the complete legal description of the property being sold. Individual suit records for the Sheriff's Sales can be viewed in the Civil Department located on the third floor of the Rapides Parish Courthouse.